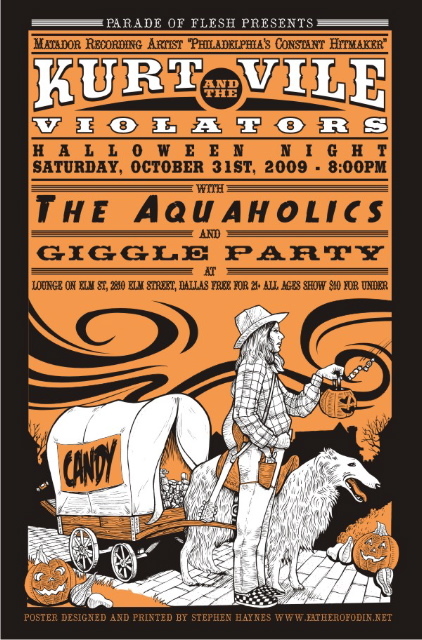 Kurt Vile’s (and your) Halloween Plans: Texas Style. Not trick-or-treating at the end of the month? No worries. Along his current route, Kurt Vile is making a stop in Dallas for a very special Halloween extravaganza. Dress up for KV & The Violators, The Aquaholics, and Giggle Party– All Ages (but more fun if you’re 21+) @ The Lounge on Elm Street. He will be playing plenty of tracks off his new record, Childish Prodigy, which will be available to purchase!